What impacts do polluted waterways and aquifers have on people and natural ecosystems? How can new concepts in land use hold promise to help solve water woes? This 23-minute video explores a variety of environments and factors in the science of water pollution and potential solutions. To really decode the STEM (science, technology, engineering, math) and social aspects of water pollution and solutions, we’re also creating four separate Serious Science videos and companion classroom lesson activities. Coming soon, these educational materials will empower students with peer-driven critical thinking in classrooms across the county, while being distributed by our ITO network of educational partners . Many experts believe water is the last truly precious resource on Earth. It’s the key ingredient to all life. When it’s contaminated, it impacts all the living things it nourishes… including us. And sources of contamination remain a constant battle on the conservation front. We use water in our everyday lives, to help run our businesses, to grow our foods, to recreate in and around, and in many places, to create our electricity. Though we expect those waters to be free of contamination, clean water for us to drink, swim in, or eat fish from, this can’t be assumed. For instance, imagine getting deathly sick from coming into contact with some lake water. That’s exactly what can happen in Tainter Lake, Wisconsin. 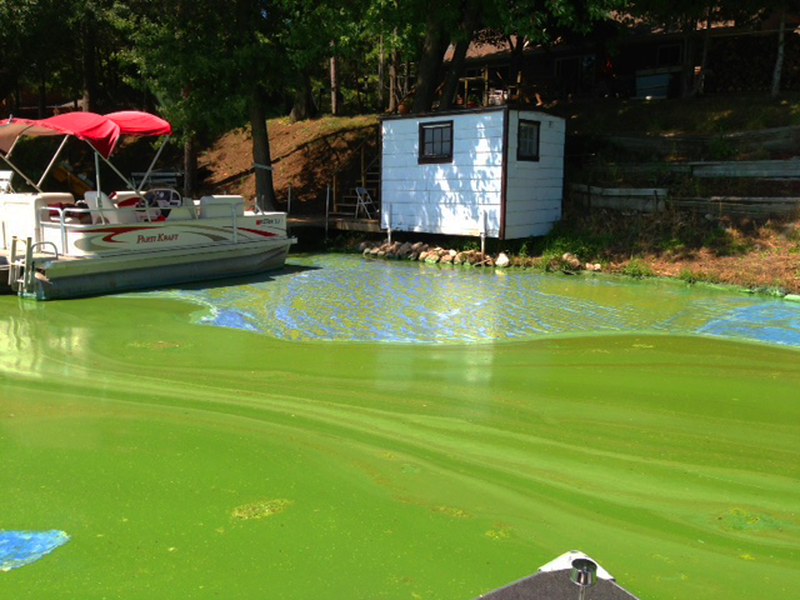 This once-popular fishing and swimming lake is impaired because of the toxic affects of massive algal blooms during the summer. Fortunately, there are agencies and people that really care about the waters of Tainter Lake who understand the science of how to curb the problem. 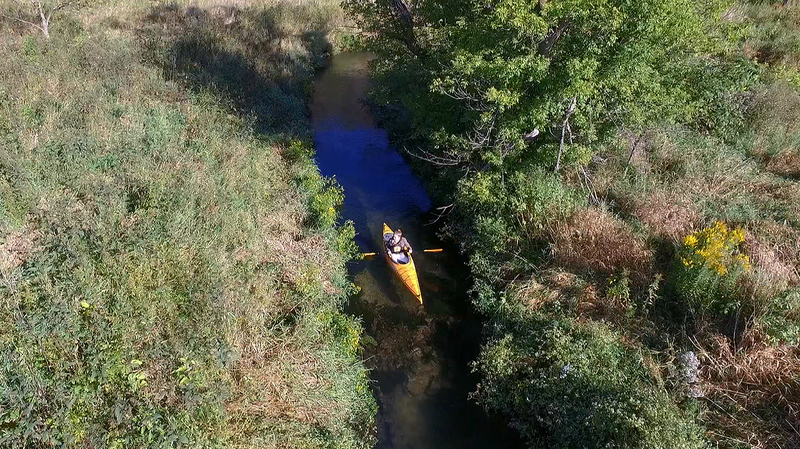 In the first segment of the video, you’ll discover the history of this watershed and what is being done to solve the lake’s longstanding pollution problems. Next in the video, you’ll travel southeast to explore what the Milwaukee Metropolitan Sewerage District is doing to protect the waters of Lake Michigan. 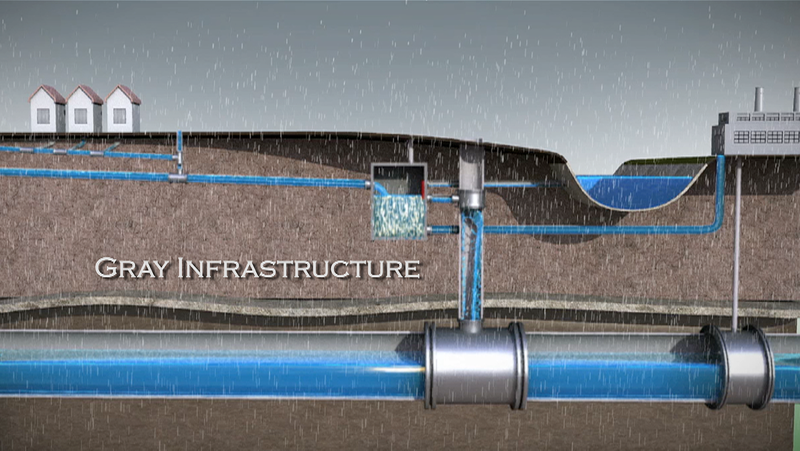 You’ll get to see what you normally can’t, as you go deep underground to learn about Milwaukee’s “gray infrastructure”. Don’t worry… “smell-o-vision” hasn’t been invented yet. 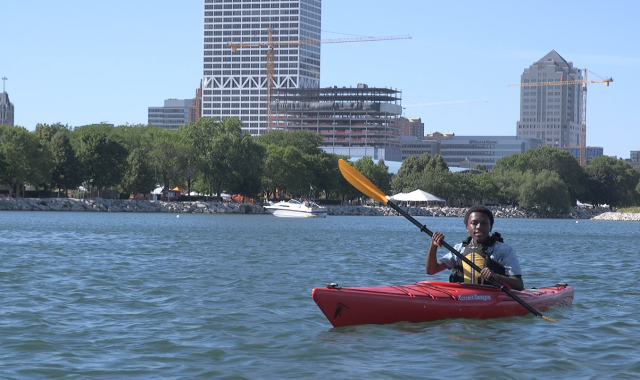 To discover how Milwaukee’s expanding “green infrastructure” is keeping waters clean, you’ll also tour Mitchell Domes with Zaire to see creative ways they recycle water that benefit plants and animals at the same time. Have you ever heard of “karst topography”? Don’t worry; the next segment in the video will reveal how nature’s hand carves caves, sinkholes, and, unfortunately, avenues of pollution. Learn why farmers living in areas with karst topography have to be extra careful to prevent animal waste and chemicals from reaching the water table. Zaire phones in with a microbiologist to uncover the biological problems that can arise when people pollute water in areas of karst topography. 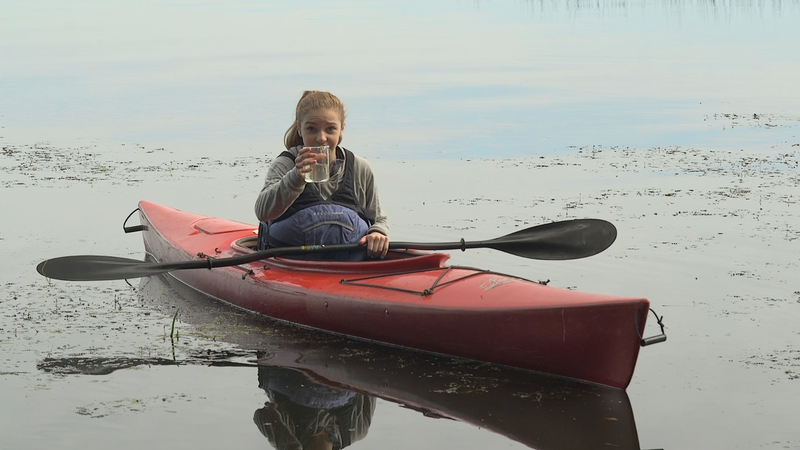 Finally, you’ll get to kayak with Caroline as she paddles down Pleasant Valley, where you’ll discover the science behind an impaired stream that was given a second chance at life. See how stakeholders took ownership and transformed the polluted stream into a high-quality trout stream while creating a model for stream restoration across the nation. Investigate under, on, and over the water to see what was done to keep Pleasant Valley, well… exceptionally pleasant. To expand your learning to peer-driven classroom education, download the free lesson guides and activities that will be coming soon. If you want to know more about what is being done to protect waterways in Wisconsin, visit the website of the educational partner that supported this video and lesson content, Wisconsin Land+Water. When was the last time you thought hard about the water coming out of your faucet? Clean water is something that everyone reading this needs, but that many people take for granted. We expect clean water to come out of the tap when we turn it on, we expect not to get sick when we jump into a lake to go swimming, and we expect that our wastewater is clean when it re-enters the water cycle. These expectations haven’t always been met here in the Midwest. The Cuyahoga River, for example, famously ignited in 1969 due to the number of chemicals present on its surface. In many places prior to 1970, chemical waste was dumped directly into streams. Farmers often didn’t limit the amount of pesticides they used on their crops and many didn’t understand the potential for these chemicals to run-off into streams that eventually emptied into our lakes and oceans. Many species of animals, including us, continue to suffer as a result of this pollution. Conservation groups, businesses, legislators, and concerned citizens pushed for cleaner water, resulting in the Clean Water Act being signed into law in 1972. Hundreds of other laws followed, from federal laws protecting groundwater to local laws that regulated how much water could be used at a certain time. These laws have helped tremendously but have not eliminated the threats facing water sources. Today, the most common threat facing watersheds in the Midwest is agricultural runoff. 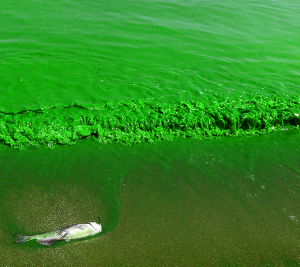 Phosphorous, excessive nitrogen, and manure can all contribute to the growth of algae and the death of sensitive organisms. In wet years, additional runoff happens and a larger area gets “flushed”. In dry years, the pesticides do not absorb into the soil as deeply and, when it does rain, more of these may get swept away into surrounding watersheds. Many farmers are aware of the problems related to water pollution and have a number of strategies to reduce pollution in the run-off. This includes limiting the number of chemicals used in the first place, planting cover crops, maintaining vegetation between fields and waterways, and keeping livestock out of streams. These methods are not only good for water conservation, but they also can benefit the farmers. For example, plants and trees that grow by streams can prevent the loss of farmland through preventing erosion, plus using cover crops that in turn can make the soil more fertile. Other, less obvious threats to water are getting a lot of attention these days too. Have you ever taken medicine to feel better? Have you ever wondered what happens to this medicine when it passes through your body? Scientists are just now beginning to realize that these medicines are getting into our water in large quantities and hurting animals from small insects and salamanders to, well, us. To discover more about this issue, watch our 10-Part video on Household Hazardous Waste. Another threat comes in the form of something we use every day. Any guesses? Look around you. See that plastic? A lot of it ends up in our streams, rivers, and lakes. Then fish and birds eat it, get sick, and die. So much of it flows down our waterways into the oceans that large piles of plastic garbage sit on the surface of the Pacific and Atlantic. The threats mentioned here have combined in many watersheds across the Midwest and many species are on the edge of extinction as a result. The largest salamander in the U.S., the hellbender, is just about wiped out from the region due to water pollution. Some freshwater mussel (think clams) species are now limited to just a few sets of rapids in a couple individual rivers. Unless the solutions to pollution are found in their habitats, they too could very likely vanish from our planet forever. Enough bad news. What about the good stuff? For starters, many rivers in the Midwest are cleaner now than they have been since the Industrial Revolution of the late 1800’s. How do we know this? Scientists that study waterways, known as hydrologists, have been measuring water quality over time. Between sediment sampling like you saw in the Pleasant Valley segment of the video, chemical analysis of the water and identification of sensitive species like caddis flies and black fly larvae are helping scientists determine if the water quality of streams and rivers are improving over time. So what role do YOU play in keeping your local waterways healthy? Your decisions about how you use water are important. Taking shorter showers, watering your lawn in the morning or night instead of midday, and washing the family car at a car wash instead of on the driveway are a few ways to help. 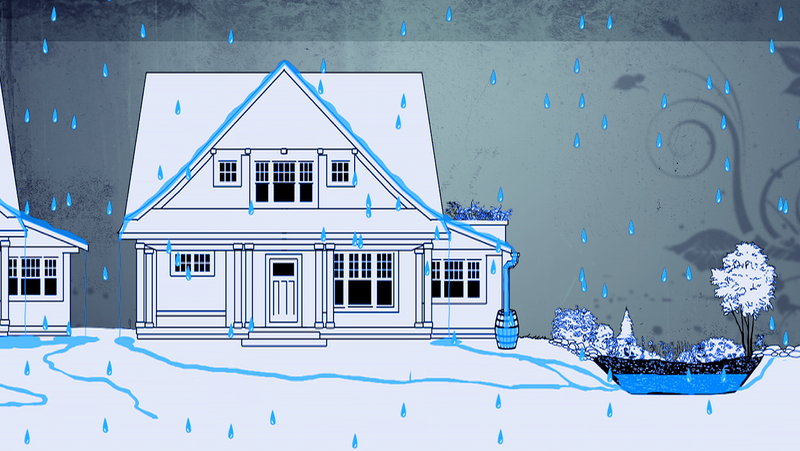 The other role you play is managing the water that falls upon your home and landscape. You know… becoming a participant in today’s green revolution with your green infrastructure. And lastly, you need to know about all the ways that your lifestyle generates bad stuff getting into surface and ground waters… and how to minimize that from happening. Another way you can help is by getting to know the watershed you live within. A watershed is an area of land that separates waters flowing into different rivers or lakes. One of the best ways to interact with your watershed is by volunteering. 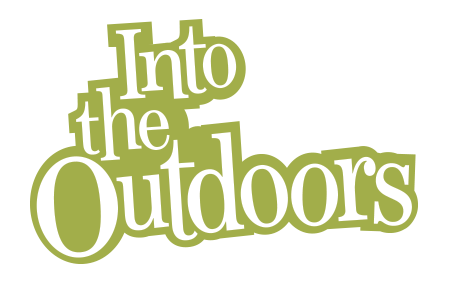 Check online to see what conservation groups or agencies operate in your area and ask them how you can get involved. Many of them pick up litter, monitor water quality, or work to conserve the rare species found in a particular river or lake. In short, YOU can be one of the most valuable solutions to water pollution.